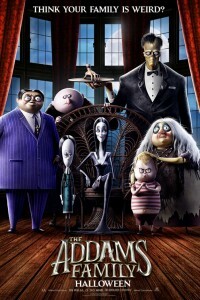 The Addams Family (2019) is a stop-motion animated version of Charles Addams’ series of cartoons about a peculiar, ghoulish family. 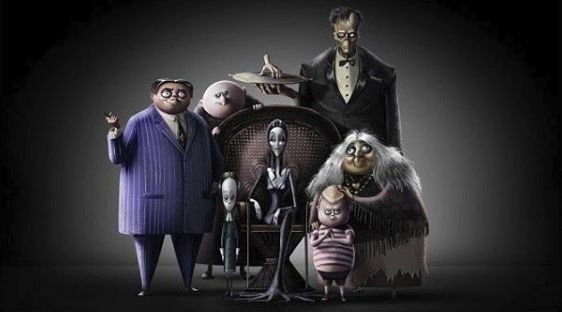 In 1991, Paramount Pictures released the big screen movie The Addams Family, starring Angelica Huston, Raul Julia, Christina Ricci, Christopher Lloyd and Dan Hedaya. That film took in $113 million at the U.S. box office. 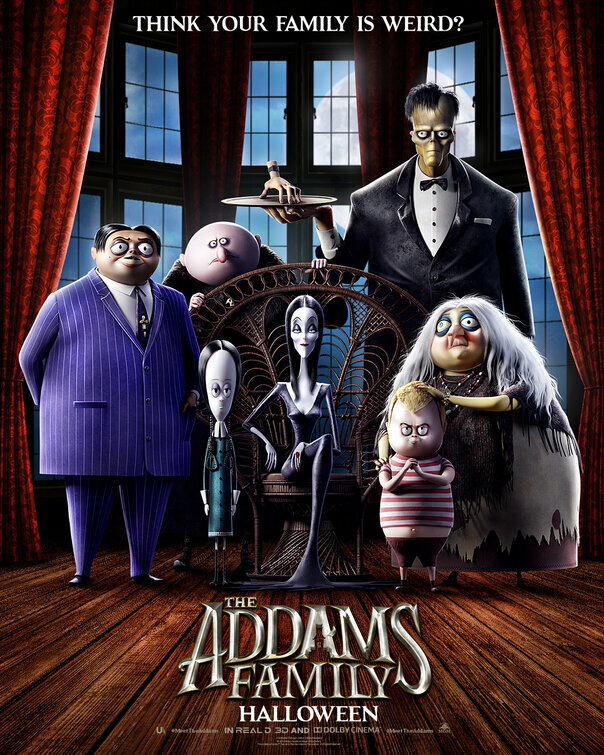 The sequel, Addams Family Values, arrived in 1993, with the same cast, and grabbed just under $49 million in U.S. theaters. It all began on television in 1964 with John Astin as Gomez, Carolyn Jones as Morticia, Jackie Coogan as Uncle Fester and Ted Cassidy as Lurch.